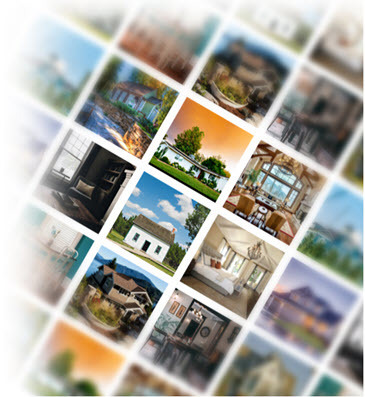 We are the urban loft experts in Dallas, Texas. Our agents can assist with renting, selling and buying all types of lofts in Dallas, TX including flats, split-level, artistic, historical, industrial, warehouse, farm & ranch, soho manhattan style, soft lofts and loft conversions. 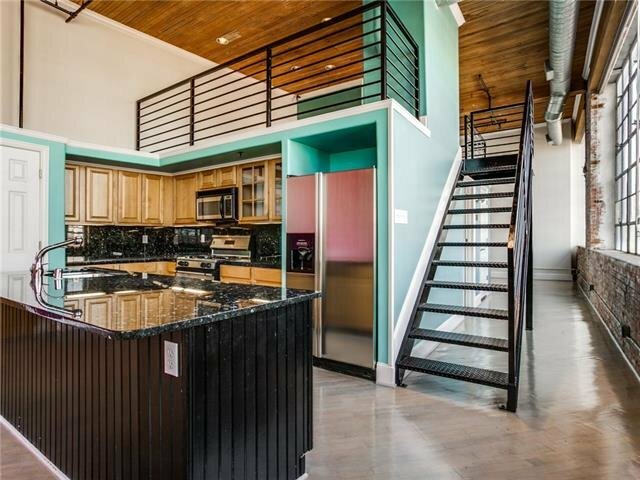 Lofts in Dallas can be rather expensive if you are looking for a high end split-level property downtown. However, if you are on a budget, no need to worry, you will still be able to afford one of the many Dallas lofts for sale in up and coming neighborhoods that are still under development in East Dallas, Downtown and surrounding areas. Whether you're looking to buy a old warehouse style loft in Downtown Dallas, Deep Ellum Split-level loft or a more traditional loft conversion in Uptown Dallas, we've got you covered! Regardless of your needs or budget, we'll do our best to help you find the right Dallas loft for sale or rent, in the right urban community or district and at the right price! Browse Dallas, TX lofts for sale, view detailed loft reports and request showings on lofts for sale and rent in Dallas, TX. 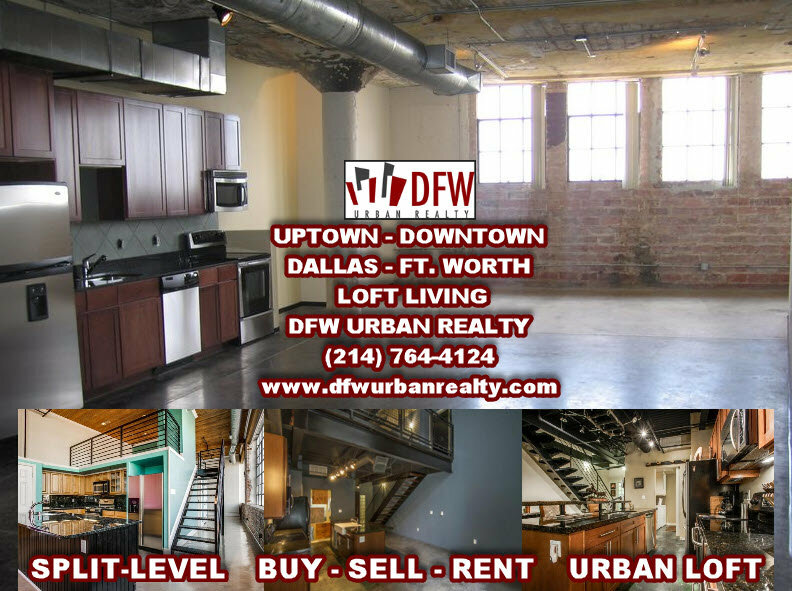 DFW Urban Realty can assist with buying a loft in Dallas and all urban districts in Dallas including Downtown Dallas, Deep Ellum, West Village, Uptown and Knox Henderson area. Search Dallas, TX lofts for sale in our MLS database with instant access to loft detail reports, loft home owner association HOA information and dues, additional private agent remarks on lofts in Dallas, loft price and status change history and more. Below are just a few of the Dallas loft property communities and subdivision our agents can help assist with Dallas Lofts for sale or lease. If you're interested in a specific loft in Dallas and you can't find the loft subdivision or property in our Dallas MLS loft search, contact us at (214) 764-4124 and an agent will help you find the right loft. 588 Lofts - 3110 Thomas Ave. The Beat South Side Station - 1001 Belleview St.
Buzz Urban Lofts - 1111 S. Akard St.
Bryan Street Lofts - 3030 Bryan St.
Canton Historic Lofts - 2220 Canton St.
Live Oak Lofts - 2502 Live Oak St.
McKinney Ave Lofts - 1999 McKinney Ave.
Solo Urban Lofts - 4231 Rawlins St.
West End Lofts - 509 Elm St.
West Village Urban Lofts - 3699 McKinney Ave. If buying a Downtown Dallas loft is not in the cards at the moment, then you should consider renting. You will owe less money and be free to move whenever you want. Plus, you can easily opt out of your lease when your dream apartment loft does end up on the market in your price range. 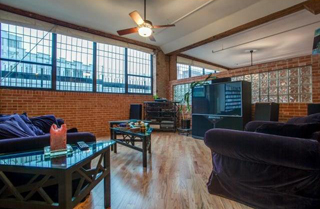 Do not settle for a soft loft with exposed brick when you want one that is finished and located uptown. It can take a while to find the ideal loft when you have a million requirements on your list from exposed pipes and ductwork to industrial style lighting and concrete floors. Many of these things you can fix yourself if you find the right place. If you're searching for a Dallas loft for rent, we can help! 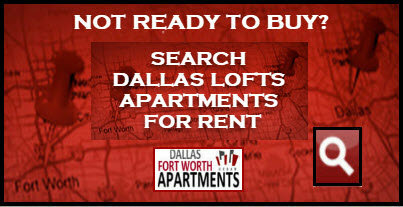 Our agents specialize in all types of lofts of rent in Dallas including flats, loft-apartments and spllit-level. Search Dallas loft for rent and view detail loft property reports with instant access to floor plans, pricing, move-in incentives and more. Our Dallas Realtors work with all urban loft communities and neighborhoods in Dallas and can assist with renting a loft at Third Rail Lofts, Soco Lofts, Post Wilson Building, Southside on Lamar, Magnolia Station, American Beauty Mill, Coles's Corner, Kirby Residences on Main, Deep Ellum Lofts, Mitchell Lofts, Murray Lofts, Continental Lofts, Dallas Power & Lights Lofts, Cedar Park Lofts, Cedars Corner Lofts, and City Park Lofts. Dallas has many different urban districts, communities and neighborhoods that feature different types of urban homes and different styles of urban living. If you are interested in urban loft living in Dallas, you'll want to check out these featured urban loft districts in Dallas that offer some of the hottest urban lofts not only in Dallas, but the entire state of Texas! Below are urban districts and communities where you will find both lofts for rent and for sale in Dallas, Texas. Bi-Level/New York-Style/Artist Lofts: Units have open bi-level floorplan with bedroom on 2nd floor. Raised vaulted ceilings, downtown urban views, rooftop pools. Urban Loft Condominium: Includes warehouse and industrial building conversions and new construction. These urban apartment and condo style lofts offer features both common to condominiums and urban lofts. Usually found in urban districts close to downtown and offer contemporary finish outs including granite counters, hardwood flooring, stained concrete. Example properties include 588 Lofts, Westside, Tribecca, Mercer Square, Renaissance, Paradiso. Traditional Loft - Lofts first gained popularity with artists. Traditional lofts were built from gutted warehouses and industrial buildings. Lofts have come to be identified as an urban dwelling with minimal lines, open layout, few walls, exposed superstructure (brick/concrete/ductwork), large high windows, and unique modern finishes. Manhattan SOHO Style Lofts: These are lofts popularized in New York's SOHO district dating back to 1800's. (South of Houston street). Lofts built in this fashion are sometimes called SOHO-style or traditional lofts. Soho style lofts are found in downtown urban art districts and offer Tall ceilings, lots of light, open flat living.